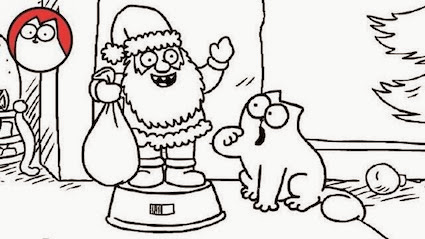 Catsparella: Simon's Cat In "Christmas Presence"
"A festive feline goes looking for a Christmas treat"...and boy does he find one! I'm still riding high from my encounter with Simon's Cat creator Simon Tofield last week, and finding a new Simon's Cat film in my inbox this morning was an unexpected snow day treat. It just goes to show that Santa has love for naughty kitties, too!